1990.11.22 / 175cm / Blood type: A / Main rapper / He writes Infinite’s raps along with Hoya. You can tell from his self-appointed, ‘my eyes are my charm’, but he gives off a pose on stage that’s hard to approach with his sharp stares and fierce raps. However, once he’s off the stage, he’s a person that doesn’t lose his really soft smile. The members said, “We’re worried that he will get tricked by a bad person,” about Dongwoo, who doesn’t know how to be suspicious of others. And because he has a lot of tears, he sobbed during the surprise party that the members created for him on his birthday when they went to Japan for ‘BTD’ promotions. You can also see this on the ‘Be Mine’ (A Ver.) DVD. Although he was the self-appointed ‘troublemaker’ since debut, he firmly said, “I’m not a troublemaker any more and I have become a responsible man,” during the February performance in Japan. You can be certain if that’s true or not through this magazine’s interview. The self-appointed nickname that he’s giving himself right now is, “dakimakura (T/N: a pillow you hug to sleep)”. When I asked what he meant by that, he said, “I heard that dakimakuras were popular in Japan. What I mean is that I’m a warm man that can make you feel reassured if you hug me like a dakimakura.” His Hyuna role during the ‘Trouble Maker’ performance shown in the February concert in Japan with Sungjong was a shock! Although he’s the self-appointed ‘dancing machine of Infinite’, he’s an almighty entertainer that is highly leveled in vocals, raps, and everything else as well. 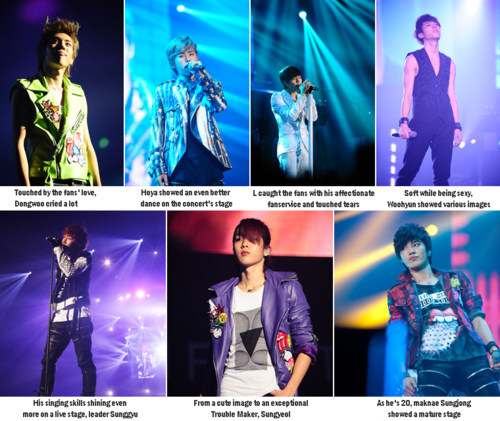 His angled dynamic dances make Infinite’s performance more splendid. The “scorpion dance” from BTD was added from his idea. And he’s a blunt Busan man to the point where he says he’s ‘in charge of the manliness’ from the group, causing many girls to have their hearts beating. His sexiness recently increased and his “one shot” poses during photoshoots are especially cool. 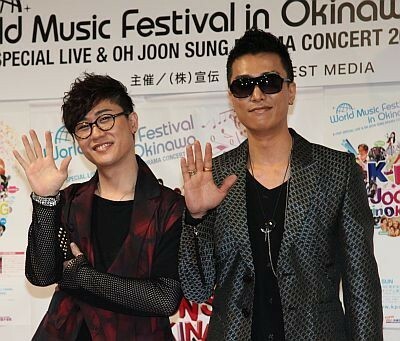 Last year, they rose up drastically in popularity in Korea by having the two hit songs of ‘Be Mine’ and ‘Paradise’. 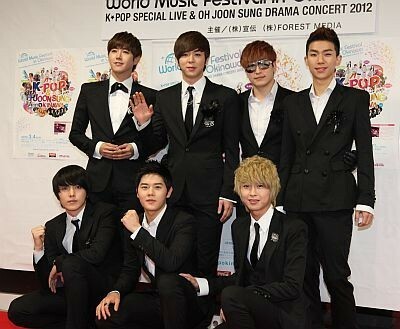 Infinite, who reached the top in the time of a year and 3 months since their debut. The group choreography where all 7 of them match perfectly is given the ratio of ‘99.9% synchronization’. Adding on practice to practice, they add on to their singing and dancing skills and they received the nickname of ‘boyfriend-dols’ because they were idols that people wanted as boyfriends due to the way they cherish their fans more than anything. It’s to the point where SNSD, KARA, Wonder Girls, Brown Eyed Girls and other girl group members would say Infinite’s name when asked which juniors they like. And as if they were proportioning out the popularity received in Korea, the anticipation was large in Japan and they finally debuted in Japan on November 19th with ‘BTD’. 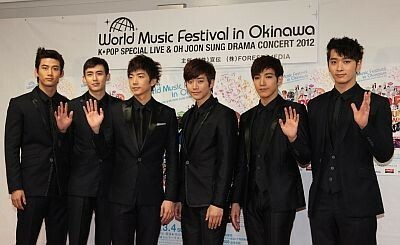 They received the good results of reaching 2nd place on Oricon daily charts. Q: You debuted in Japan on November of last year with ‘BTD’. When you look back at it now, what was something that left an impression during your first Japanese promotions? Sunggyu: Because there were a lot of different points from promoting in Japan as to promoting in Korea, it was interesting and fun. When we had the high-five event for the release of ‘BTD’, it was new because a high-five event isn’t in the Korean culture! Dongwoo: Sungyeol was the most excited, right? The passionate high-five event was something to talk about. Sunggyu: We went to a CD shop in order to do the high-five event, but we say Infinite’s CD or pictures that were as big as us, being displayed. At that moment, we felt, “Ah~ We debuted in Japan, this is the beginning~”, and felt that we debuted. Q: The “scorpion dance” from ‘BTD’ was a hot topic. During the live for the release event, many people from the audience were screaming loudly at the scorpion dance part. What did you feel after seeing that? Hoya: As expected, we felt a high amount of contentment. Infinite’s unique point is that we even match acrobatic dances well too. Because they are happy after seeing our positive point, we’re always happy and say, “we did it!”. We’ll surprise everyone more often in the future. Q: Your 2nd single, ‘Be Mine, will finally be released on April 18th. It’s the Japanese version of ‘Be Mine’, which won your first 1st place award on music broadcasts in Korea, but are the lyrics still the same? Sunggyu: Yes. They’re the same. There’s a woman that the main protagonist loves, but the woman loves another man and not him, but she’s hurting because it’s not working out well. Because he can’t just see her be like that, it’s a story where he’s saying, “Don’t hurt like that any more and just come to me. Be mine”. And we sing that powerfully and fiercely! Q: During the chorus, the part of ‘Be mine’ (T/N: in Japanese), is the meaning of ‘Be mine’ (T/N: in Korean), but what is something that is ‘mine’ that you can be the most proud of? Sungyeol: My troublemaker-like charms. It’s something only I have. (Q: Oh? Didn’t you say during the concert that you would graduate and quit causing trouble? Sunggyu: A thing that I’m proud of is my mom’s kimchi jjigae! Because I really like kimchi jjigae, I eat it often. I feel as if I’m being healed~ (Laughter) And the one that my mom makes is especially the best side-dish that cannot be switched with anything else. L: Eum~ I want to say the 6 members as well. I think the members are definitely most important! Hoya: Mine is my family picture. Whenever I see the picture in my wallet, I gain strength. When I was a trainee, my parents always cheered me on and even after I debuted, they always told me, “Really work your best and do well!” To pay them back, I’ll work hard. Q: Then just one more question about your lyrics. The first line of lyrics, L’s part, goes, “I want to hold you, right now”, but is there a type of girl you would want to hug? Woohyun: Of course, it would definitely be with all our fans. L: A girl who is innocent and has long, wavy hair~? 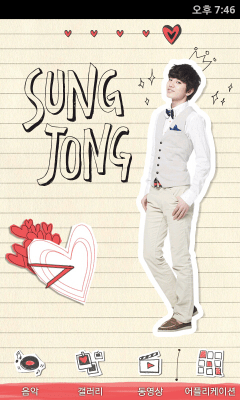 Dongwoo: Someone who sings and dances! Hoya: When I see a girl crying, I want to hold them. Q: You created an original music video for the Japanese version of ‘Be Mine’, but the dance was really cool! Woohyun: Because we danced too hard, it was to the point where the floor paint was peeling off. We quickly re-painted the floor (laughter). The dance was really to that point! Hoya: During the dance break part, there’s a dance where I place my knees and spin around, but because I repeated that about 50 times, a hole formed in my pants causing my knees to get chafed. Feel our pains and watch the MV! Q: Also, April 18th, which is the release of ‘Be Mine’, is also ‘Scent Day’ in Japan. What kind of scent does everyone like? Sungjong: What is a scent? Woohyun: Aroma. When something smells good. Sunggyu: I like the soft scent of aromas. L: I like the fresh scent of sake. Hoya: I like tasty smells! Q: Since we’ll be eating after this interview, hold on a bit longer (Laughter). ‘Be Mine’ was the song that allowed Infinite to rise up drastically. When you won 1st place on a music broadcast for the first time, what did you feel? Dongwoo: Because I was really touched, all the events since my trainee days came back to me and tears were gradually coming out. Is that what they call memories flashing throughout your head? I really couldn’t stop crying (laughter). Q: Looks like everyone cried a lot. What did the leader, Sunggyu, who held back his tears, do? Sunggyu: My mind turned blank once they said Infinite won 1st place. But because it was important to act as the leader, I couldn’t cry. (Laughter) I wish to get 1st place in Japan with ‘Be Mine’ as well! Q: Infinite is really a friendly group, but you reach your 2nd year of debuting in June. During these 2 years, have you ever felt your group unity was in danger? Woohyun: There wasn’t ever a time like that! I’m definite! Everyone: There wasn’t, there wasn’t!! Dongwoo: There wasn’t any danger like that for us. The only things that were here were chances and opportunities. Q: Then if you were to give a present of thanks to one of the members? 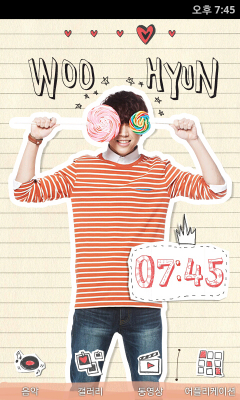 Woohyun: An electronic device to Kim Sunggyu hyung. Because he said his broke. Dongwoo: I would give hand cream to Woohyun, Sungyeol, and L… Because their hands are really dry. Of course, it would be a good scented hand cream. L: I’ll give Sungyeol my friendship as a gift. You won’t decline, right? Hoya: I want to give the members a warm home-cooked meal. Because we always eat outside or take-out, I think the best present would be a meal made by a mom. Sungjong: I would give red ginseng to Sunggyu hyung, who is doing well as the leader. Sunggyu: I would also want to give red ginseng to L. Because he’s tired from drama recordings, he looks very tired. Q: The drama that L appeared in, ‘Shut Up! Flower Boy Band’, is airing in Japan starting on April 15th. Are you using what you learned from your first Japanese drama, ‘Jiu: Special Investigation Team’, in Korean dramas as well? L: Yes, of course. The experiences from ‘Jiu’ are helping me. There were a lot of outdoor filmings for ‘Jiu’, but because there were a lot of outdoor filmings this time as well, it helped a lot in knowing how I should capture myself with the sunlight in mind and how I should look into the camera. Sunggyu: Seems like he was embarrassed when he gave sharp glares in ‘Jiu’ (Laughter). Also, I watched all of L’s ‘Jiu’. Q: Your acting of ‘Jiu’ became a hot topic in Japan and your expectations as a actor rose up in Korea due to your role of the ‘Ice Prince’ guitarist, Lee Hyunsoo, from ‘Shut Up! Flower Boy Band’. Do you feel that being an actor is right for you? L: I don’t think my aptitude really matters. Rather, I thought that I could do well through putting an effort into it. I just work hard to fit whatever role is given to me. Q: The spring of April, which is when ‘Be Mine’ is being released. To sum this up, tell us about your ideal date in the spring in Korea! Sunggyu: Wouldn’t Namsan be good? Woohyun: I would want to go to Namsan tower as well. Walking up like it’s a picnic. I want to have that kind of date with an Inspirit. Dongwoo: A maze date in Jeju Island! There’s the world’s longest maze park there. Sungyeol: I want to have a date at a traditional Korean folk village where we could learn about the old cultures of Korea. L: I suggest the Han River in spring! The live type idols who have successfully ended their first solo concert, Infinite invites everyone to a great live performance. Among the numerous idol groups that came out after 2000, only few will become groups that have concerts that are sold out, only one year after their debut. Starting from 2011, Infinite got into a wave of popularity, their two concerts on February 11th and 12th 2012 were sold out in only 10 minutes, the ‘Total Sold Out-Dols’ are marking the public with the destructive power of their ticket sales. Even if it was their first solo concert, they went here and there on stage, without showing the slightest sign of nervousness, with only one concert they turned themselves into ‘Live type Idols’. Infinite, that got us used to a perfectly precise choreography took their performance to a higher level and gave us a colorful image during these two hours and a half, showing steady live skills and a fancy direction. It was a concert where they showed affectionate fanservice that can’t be seen on broadcast, exceptional solo stages, and Infinite’s members’ sincere and bold comments that caught the fan’s hearts. Together in the concert hall during February’s concert, with the fans sweating with them and supporting them, there were also fans who couldn’t buy tickets outside of the concert hall, waiting in the cold, pacing around nervously waiting for Infinite to come back. On April 1st, Infinite will stand again on the Olympic Sport Stadium’s stage for an ‘Encore Concert’, this name only describes the new and evolved performance they’re preparing. [Second Invasion – Evolution]’s real hidden card is said to be the members’ solo stages that will have a 180 degrees change, we’re looking forward to the image of the 7 men coming back with a warm feeling of spring. “Be Mine”, with a chorus that stays in your head and an impressive choreography allowed Infinite to be 1st on music charts. As it’s a very meaningful song to Infinite, it was the last song of the concert. It had a feeling quite different from the broadcasts, the members met the fans with casual outfits showing each personalities. Wearing a black outfit rimmed with LED lights, it was a stage showing a perfectly executed and strong dance. During the intro, the lights were blue and as soon as it really started the lights turned red and yellow, emphasizing even more on their powerful choreography. We of course can’t miss ‘BTD”s dance’s point: the ‘scorpion dance’. The image of them starting the song and matching the fans’ breathing was impressive. The piano version of ‘Can U Smile’ fitted well with their white outfits and the white lightings, and it showed that Infinite’s 7 members’ harmony evolved even more. The stage was harmonious with a lively dance matched the sweet lyrics and surprising fanservice by taking the fans’ handphones and taking selcas! The live song got released and also received a lot of support from the fans. The ones who got their mobile phones chosen were so happy. ‘Cover Girl’ is different from the 3 others songs, for it got specially edited and released as a live music video. Because there’s no guy to give me candies, I hate March 14th!? You have Inspirits’ boyfriends, Infinite, so why are you worrying? 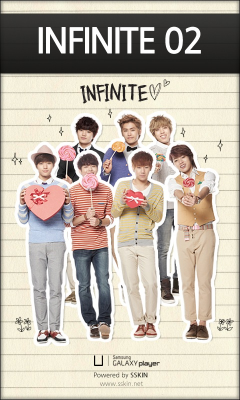 Eat Infinite’s love twice, keep eating it, eat it until the end! Today is a new start too, but I’ll take care of the inside of your mouth sweetly! Even if time passes by, you won’t be able to forget it! Let’s all make memories together~! I really..hope it will become a memorable day for everyone?! Spend White Day in white!! Eat candies~ and cheer up! Although candy melts and disappears…. On November 19th, 2011, Infinite debuted in Japan, a debut that was filled with much anticipation. On the day before, on the 18th, they held a debut press conference, at Kawasaki Lazona, where 10 thousand fans gathered for their debut event. Japan’s fiery line of vision was focused on their “Synchro-Rate 99.9%”’s scorpion dance. On the day before Infinite’s Japanese debut on the 18th, Infinite held a mini concert and a high-five event at Kawasaki Lazona as their press conference and post activities. There were 200 different media companies that heard news about their perfect, 99.9% synchro-rate! Just like the cover of their album, the members entered the stage with refreshing, white clothes and they all used Japanese to say hello to the audience. 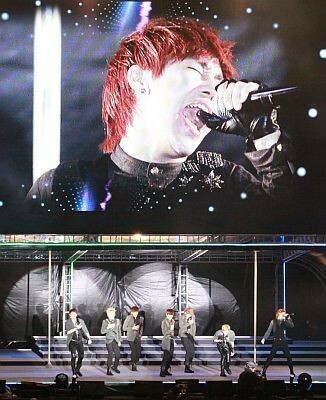 Regarding their Japanese debut, Sunggyu, as the leader, was the first to speak:“We have been waiting for a long time. Because we’re extremely excited, our hearts, even now, are still beating violently!” Hoya said, “Since the start, we were in Korea, to be able to debut in Japan was a dream. Our dream has now been fulfilled and of course, we’re very happy.” Dongwoo, who creates the atmosphere, when asked to disclose about the recording, he said“The Japanese ‘tsu’ is very hard to pronounce… But now, I can say it accurately! Tsu~ Tsu~ Tsu!! !” and the entire audience erupted into laughter. When asked about Infinite’s signature: The 99.9% synchro-rate scorpion dance, Sungyeol said: “Even though everyone is praising our 99.9% synchro-rate group dance, but, to be able to reach this standard, you have to be reliant on teamwork.” After Woohyun said, “Practice, practice, practice” in Japanese, he continued: “In Korea, we’re even called the group that’s ‘crazy over practicing.’ Because we practice over 18 hours daily, only like that, we’re able to ensure the members’ teamwork and chemistry. Practicing so hard like that, only then, the scorpion dance was born. To be able to complete the scorpion dance, it’s dependant on practice and hard work.” At the end, Woohyun said to the fans: “We’ll practice till the extent of our bodies breaking!” L said: “If there’s a chance, we want to attend the ‘Kouhaku Uta Gassen’ (T/N: It’s a prestigious end-of-year music festival in Japan for only the best artists, meaning ‘Red & White Song Festival’. ); we want to show everyone our dance.” Sungyeol said: “We want to practice until the standard where if we go out, people will shout: ‘Ah! 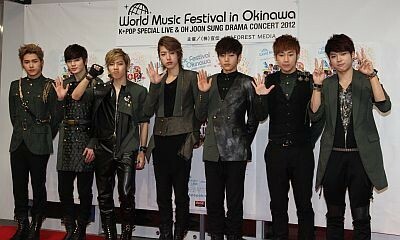 It’s Infinite!’, that kind of standard.” Everyone expressed their ambitions regarding their Japan debut. Interviewer: Congratulations on your Japan debut. We heard that you ranked 2nd on the Oricon charts on the day of your release, the results are not bad. Sunggyu: We’re very thankful. It’s only thanks to the fans who support us. We’re really, really, thankful. Interviewer: Infinite debuted in Korea in June, 2010. Do you still remember your debut stage? L: The debut stage, because I was too nervous, I don’t really remember… But, of course, it was very scary… And when the stage ended, I still remember my limbs trembling. Interviewer: (laughs) Becaue it was a live broadcast, you were very nervous. Your Japanese debut will be your second debut after Korea, so you should be more natural, right? All: Yes, our hearts were beating fast. Interviewer: At Kawasaki Lazona, you held your debut mini concert and you performed Japanese version of BTD for the first time, tell us about your feelings from that time. L: Just like our debut in Korea, I was very nervous. Dongwoo: I was filled with confidence! I memorized the Japanese lyrics well, and I was in a state that I was fully prepared. Even though I think I was in a very excited mood, but because the pressure was high, the members all told me “You have to be calm”, such words like that (laughs). Sunggyu: No matter how I put it, we’re filled with a feeling of happiness. Also, we found out that the fans and us are very close. Woohyun: Yes, and it’s very meaningful. We originally planned to sing only 3 songs but because we wanted to give the fans a present, we added 2 songs on the spot. Interview: From now on, we’re going to listen to the things that happen to each member. Firstly, Sunggyu’s the leader, what do you know about the responsibilities of a leader? Sunggyu: Even though everyone thinks about a ‘leader’ as a character that leads the members, but I think that Infinite’s high synchro-rate is only possible due to teamwork. It’s my responsibility to maintain this teamwork. Interview: Dongwoo and Hoya are in charge of rap and dance. At the same time, both of you are in charge of the lyrics. Then, what’s the relationship between you two? Dongwoo: To me, he’s a worthy competitor. In the future, I want to create a hip hop track with him. Hoya: Because Dongwoo’s and my rap style is different, I’m currently still learning. I think Dongwoo is Infinite’s ‘presence’. Interview: Last year, L-kun acted in the Japanese drama, and Sungyeol acted in the Korean drama, . As the two of you are both actors, did you talk to each other about acting skills? L: Even though I talk to Sungyeol about acting skills 30 minutes before we sleep, every time, we end it laughing. Sungyeol: As the senior in the acting world, I gave L-kun several tips before he filmed for the first time. When doing activities with Infinite, because I’m together with members, there’s a feeling of safety. But when it comes to acting, it feels like everyone around me is watching me so I get very nervous. Interviewer: In Korea, Woohyun’s fanservice is very well known. In Japan too! (laughs) What are some things you take note of when it comes to meeting the fans? Woohyun: I’m very thankful for the infinite care and support that the fans shower upon us. I want to express such feelings of gratitude. Interviewer: Wah~ There’s a deep feeling to it. The hearts that Woohyun throws are really filled with love. Then, continuing, as Sungjong is the maknae, then, who do you think dotes on you the most? Sungjong: I think it’s Sunggyu-hyung, Hoya-hyung and L-hyung. But these three people also have times when they purposely call for me. Even though I get really angry at those situations, all of the anger is dispersed after I hit the bear on my bed (laughs). Sunggyu: Recently, Sungjong’s in his rebellious phase. Dongwoo: That’s right, that’s right. Now, you can’t go against Sungjong. Interviewer: Maknae’s so strong (laughs)! Such good relations are also placed inside the performance of your ‘synchro-rate 99.9%’ dance. Woohyun: Of course! Even though we practice for 18 hours daily, the main point of Infinite’s synchro-rate is our teamwork. Interviewer: In February, you’d also be having your solo concert, <Second Invasion> in Japan. Then, tell us about your ambitions for future Japanese promotions. Sunggyu: For us to be able to promote in Japan, it’s thanks to the seniors in Korea who worked very hard in Japan before us. We’ll work hard so as not to fail our seniors. Other than that, not with just <BTD>, we also will show more of Infinite’s good music to the Japanese audience. To commerate the release of their debut track, , they held a press conference in the debut rookies’ shrine, Kawasaki Lazona. Ten thousand fans became crazy due to Infinite’s perfromance. The scorpion dance gained many cheers! A total of 5 songs were disclosed. 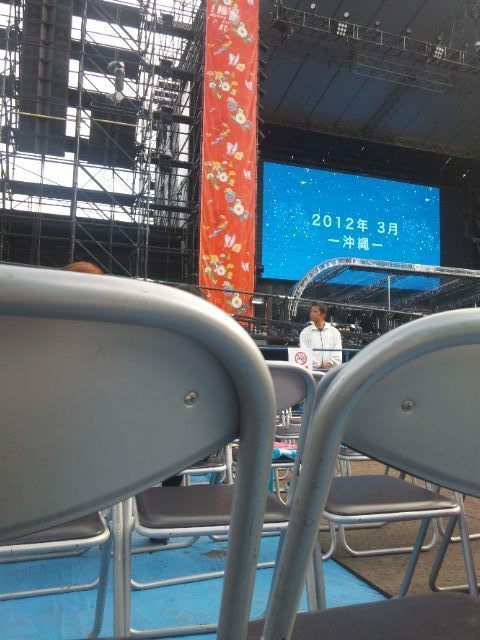 Fans gathered the night before at the debut shrine of KPOP artists, Kawasaki Lazona. Already several hundred people were present hours before the activity started and the anticipation for Infinite quickly spread. It’s been a long time since this place gathered over ten thousand people. When the 7 members came onstage and began their first debut song, , the audience’s atmosphere already hit its high point! On this day, upon perfectly showing off the scorpion dance, the fans’ cheers were the loudest. Like as if they had to prove the title of ‘synchro-rate 99.9%’, every members’ charms were shooting everywhere. “We’re very happy to see everyone!” They said greetings in simple Japanese. Then, after singing <BTD>, <Can U Smile> and <Be Mine>, they left the stage and the sounds of “Encore” were relentless. The Infinite members were very happy at the loud cheers and they entered the stage again, smiling, “Even though we didn’t prepare for an encore…” they disclosed their new song, <Paradise>. Then, the encore continued and when the fans’ passion didn’t look like it was going to stop, the members looked at each other and they said, “We’ll sing one more song,” and sang <Nothing’s Over>, replying to the fans’ passion. On this day, 200 reporters from 70 different media companies were present! After the 10-thousand people live, they started a High-5 session with the fans, and the females who were able to hold the members’ hands from a close distance were all so happy, they also cried and no matter where, you’re able to feel the Infinite wave. When Infinite came to Japan in November, the Japanese staff who have been supporting them from the start, were asked about Japan! 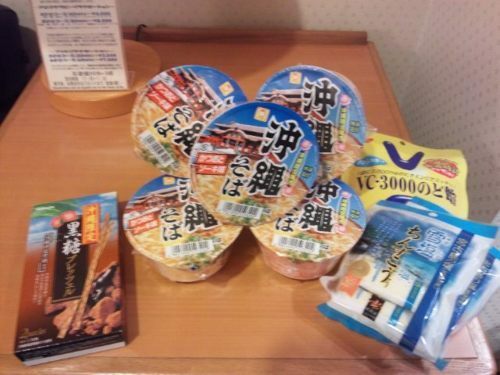 During the Japanese promotional and activity periods, the lunch was basically bentos and in the waiting room, the item that has to be prepared is ‘Shin Ramyeon.’ As expected, they want to eat a familiar taste. Then, the item that is the most popular is the BBQ Meat Bento! “Is it the BBQ meat bento today?” The members would ask the staff. The cakes and desserts were also liked by the members. Also, beside bentos, hamburgers were also very popular. Then, they also often whine to the managers for coffee. (Of course, that includes, sweet cream coffee~). They often have hot pot and sashimi for dinner! On the 18th, before the press conference, the members really worked hard to learn Japanese! Other that that, through the situation of coming to Japan, they’re often practicing what they learnt (Like how Woohyun said, “Practice, practice and more practice.”) When meeting the Japanese staff, Infinite, who work harder when they get praised by the staff for their Japanese pronunciation being alright. This time, their visit to Japan, also clashed with Dongwoo’s birthday and hence, the members were secretly preparing. On the 22nd November, they have been working under a camera but once it ended, they had a meeting and they gave a big surprise to Dongwoo, who came out of the control room. Dongwoo was shocked by the members and the staff’s cake and the birthday song, hence he cried as he expressed his feelings of gratitude. Then, let’s talk about a small episode. About the issue of filming on the streets, Woohyun, who was walking on the streets alone was noticed by a little boy, who shouted: “Ah! He appeared on TV before! The guy that danced the scorpion dance!” Woohyun’s very thankful to him. Sungjong heard about the news from the housekeepers who heard about such an event from TV, he was really shocked. This times’ morning news team are perhaps, keeping up with the relevant activities’ news and interviews and it’s probably so due to the disclosure of the scorpion dance. 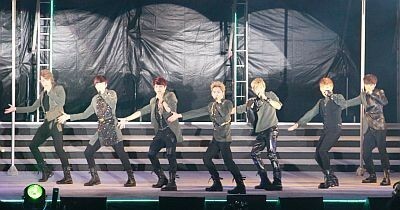 INFINITE joined special concert event in Okinawa,which was hold as dream collaboration of popular drama OST concert and K-POP. 16,000 visitors were enjoyed beautiful sounds of orchestra and excited for pop music. 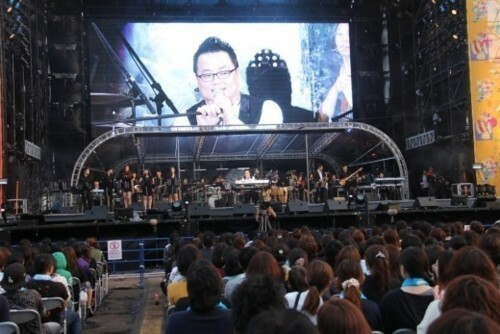 OST concert was played by Oh Joonsung who is popular song writer for lots of drama soundtracks. Park Sihoo appeared in video message to him,since Park Sihoo was main actor of “Princess Prosecutor” that Mr.Oh’s songs used as OST. Park Sihoo even introduced Mr.Oh’s history since his debut to current works. J-Symphony sang “Suddenly,Lonely Day” from “City Hunter”. 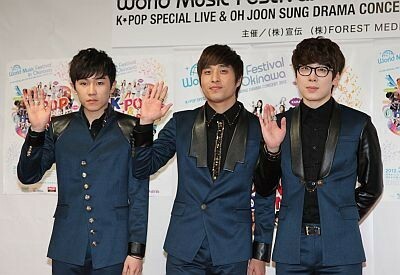 Monday Kiz joined in some songs and they promoted they’re going to start music activity in Japan soon. Oh Joonsung sang “Because I’m stupid” from “Boys Over Flowers” by himself. Basically all groups sang 3songs for each. But 2PM was main act,so they added 1more song as encore. Siwan and Hyungsik were absent for drama shooting. Dongjun apologized to fans. I’m really happy to listen to their original version of “BTD”!! Because they never performed it since they released “BTD Jp ver”. Actually I prefer original ver’s lyrics sounds. When they showed scorpion dance,it was like earthquake occurred in concert place with audience’s screaming and applause. Before “Be Mine” starts,they introduced themselves in Japanese. Sungyeol was starter,but he was breathing hard with much sweat. All boys were less smiling,looked tired. I wanted staffs to give a short break before their self introduction,because their performance is killing hard work. 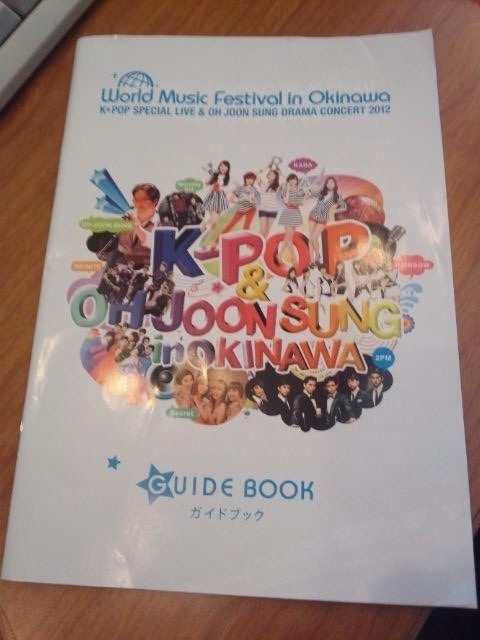 Miss Okinawa girl asked boys,”Is this your first time to visit Okinawa?” and Woohyun answered in Korean. Chairman translated as “Yes. We’re happy to come here and see people here.” but I heard Woohyun said something more…although I couldn’t understand details. Chairman: You decided to release new Jp limited single “Be Mine”. Sungkyu: Yes,we’re back in Japan to promote single. Please expect our new single! Talking time was too short and boys couldn’t speak a lot. Nicole had injured on her left leg at solo concert,so she appeared with crutch. Nicole sat and sang all the way. Her eyes looked sad but she tried to make smiles. Gyuri was absent because of surgery on throat. She couldn’t put out sound at all but she wrote a letter for visitors at this concert. The video was run on the huge screen. Gyuri gave message as apology. Woohyun appeared in no sleeve vest. He changed costume because it was too hot. He did shuffle dancing and cute dancing while song runs. There was no mic for Infinite boys,so they were talking each other like “Where’s our mic?” So J-Symphony put mic in front of Dongwoo,he could sang finale song with mic. Anyway others continued singing without mic… Boys seemed relaxed after all performance. 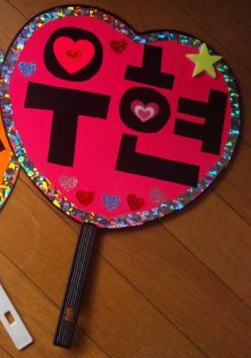 Since I sat on 7th row,it was very close to stage…at the finale,I showed my board with Woohyun’s name on it. He threw heart to me! 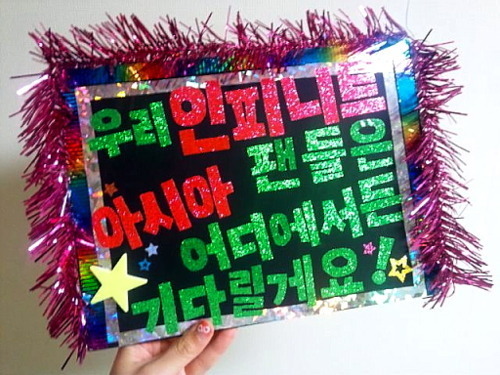 I also held other board,Hoya smiled at my message “My friends are waiting for you all over Asia”. Sungkyu,Sungyeol smiled and waved hand to me when they found my board “Infinite I love you”! I guess they easily found my board just because I was surrounded by lots of 2PM fans. Although Infinite boys must be so tired,they showed smiles and waved hand to Inspirits as usual. When the song is over,Infinite boys were looking at chairman,like “Are we gonna hold hands and bow to audience…?” But concert ended without such bowing by all performers. However,2PM did it by themselves while Infinite boys were looking at that,and they’re just leaving from stage… Infinite boys seemed they wanted to show that to fans. When leaving,Nichkhun shook hands with Hoya and they bumped chest each other. I think they praised best performance together. There was lightstick as official goods,but I couldn’t buy it because time ran out when I got aware of it. I heard official goods were sold out even though many people didn’t manage to buy. 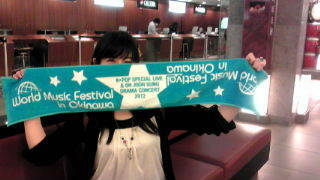 I got only towel added with ticket. Concert photographs were taken from News Walker. All the rights were reserved by them.